Supervising the sale of distressed real estate from the former Van Lanschot portfolio. The sale of a portfolio in 2017 with commercial assets for a large national investment manager. For one of the big national banks we are one of the preferred suppliers for brokerage activities. CBRE, ING, ABN AMRO, Van Lanschot Bankiers, Propertize, Syntrus Achmea, Delta Lloyd, Bouwinvest, Amvest, FGH/Rabobank, Link Asset Services. As Head of the Industrial & Logistics team for the Netherlands, Jim uses his local expertise, large international network, and industry knowledge to meet and exceed the needs of his clients both nationally & internationally. He leads a team of more than 10 who are involved in all aspects of the Industrial & Logistics field from leasing to valuations to investment, ensuring that they are offering a complete solution that acknowledges the client's current and future needs. Jim is also a member of the core Industrial & Logistics team for the EMEA region, pushing the agenda for both the Dutch Industrial & Logistics team as well as the EMEA Industrial & Logistics team, in regards to innovative ways to approach the needs of clients as well as leading discussions on new trends in the sector. 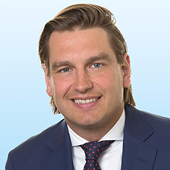 In this role he also has built up an extensive network that has led to success in driving the expansion of national clients across EMEA and supporting international clients expanding into the Netherlands. 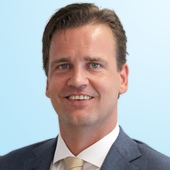 With more than 10 years of experience in the Dutch Industrial & Real Estate business Bart uses his local expertise, large national and international network and industry knowledge to meet and exceed the needs of his clients. He co-leads a team of more than 10 who are involved in all aspects of the Industrial & Logistics field from Agency to Investments to Valuations, to ensure his clients buy and sell the best investments in the Industrial & Logistic market. Bart is a member of the Industrial & Logistic team for the EMEA region. He is also active on national and international real estate fairs as EXPO REAL in Munich, MIPIM in Cannes and Provada in Amsterdam every year.